I always used to hate having my photo taken. Like most phobias, it dated back to childhood….. When I was young my dad would always take his proudest possession, a Canon AE1 camera, on our family holidays. Anytime a scenic landscape or an historic structure was spotted my dad would excitedly yell “PHOTO OPPORTUNITY … PHOTO OPPORTUNITY”. This would be met with groans of despair from me and my sisters. Even my mum would be muttering under her breath “give me strength Lord, give me strength”. For about the next 15 minutes we would have to stand looking miserably into the glaring sun, whilst my dad fiddled about with lenses and lighting and focusing. The problem with the camera was that, as I recall, nothing was automatic and it would refuse to take a photo if the settings were off. Also my dad is short-sighted and he couldn’t read the metres in the viewfinder. The worst thing was the self-timer function, we would stare at the flashing red light willing it to work so we could go back to listening to Belinda Carlisle on our sony cassette walkmans. My mum wanted to continue reading her Woman’s Own magazine. 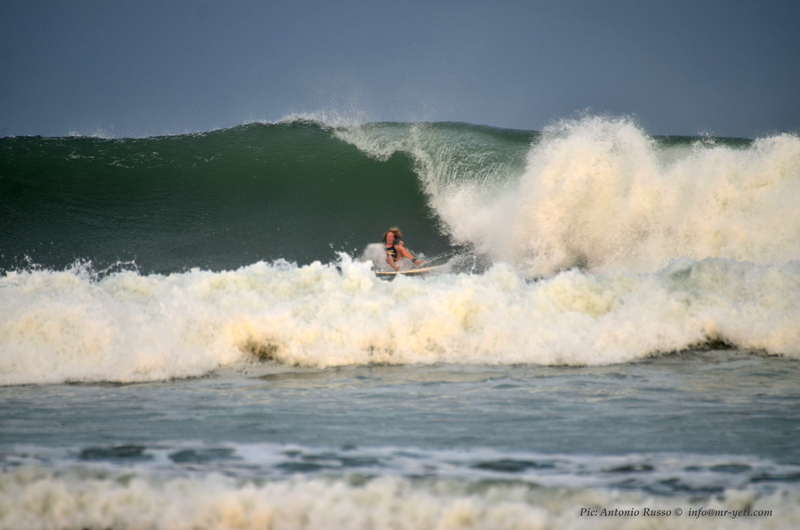 Despite all those early misgivings, since becoming a surfer I’ve loved having photos taken of me whilst surfing. 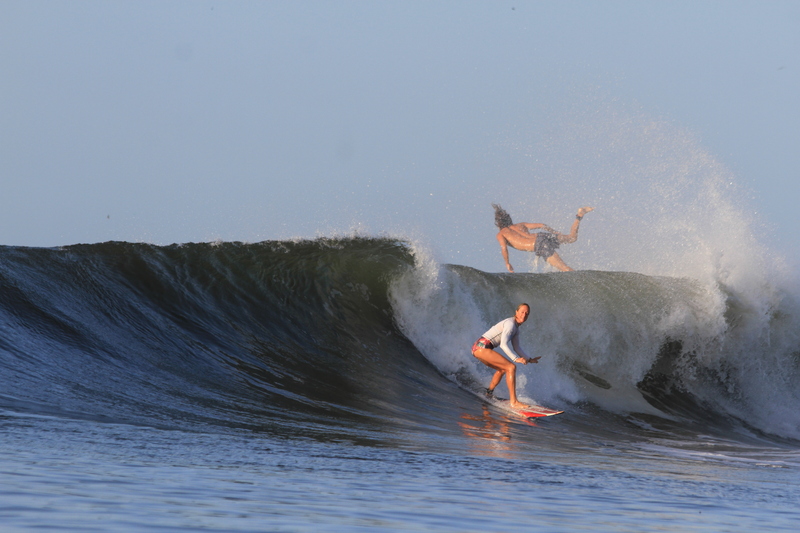 I turn into the surfing equivalent of Kate Moss … over here, over here, look at me! But seriously, photos are the best souvenir of a surf trip. My favourites are usually the wipeout shots. The only time I didn’t buy the photos was my first time at a surf camp in Bali. The instructors had made us wear crash helmets even though we were surfing the sandy Legian Bay. I thought I looked like such a tool in the photos because of the helmet. I was also a bit hefty at the time and all I could see was my flabby belly hanging out. The upshot was that I didn’t buy the photos, and I’ve always regretted it. I would love to look back at those pictures now and have a laugh at them. Most women I know would rather have root canal dental treatment than look at photos of themselves. But surf photos are different. So the moral of this tale is always buy the surf photos, when you’re 80 they will make you proud.